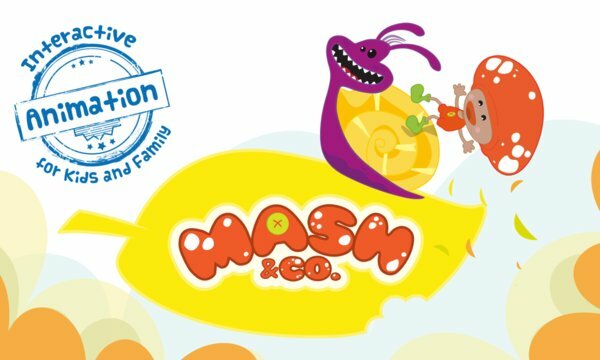 Mash&Co - Interactive animations for kids and family. 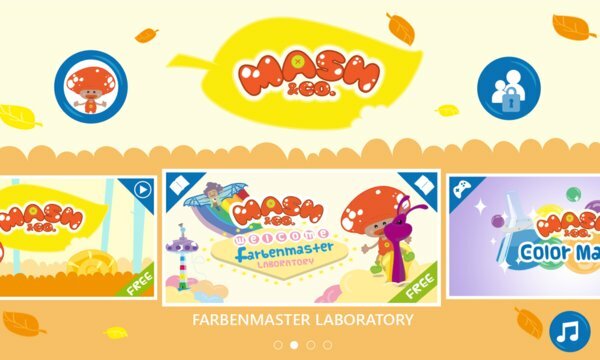 Mash&Co is a multimedia, episodic app for pre-school kids and families, where parents can monitor kids’ performance and learn how their skills improve day by day. Animated digital novels, cartoon series and mini games: all in one app! Based on a sequel formula, Mash&Co tells a story of friendship, love for family and respect for nature in a world where water suddenly disappeared. Discover the secrets of tiny wood, and help Mash the Mushroom and Periwinkle the Snail saving their village! Thanks to the multitouch interface, with Mash&Co children are able to interact in a simple, fun and safe way, with a neat colorful and stimulating environment. Moreover, mom and dad will enjoy playing together with their small ones and, by using the Parental Control panel, will be able to see children progress in relation to age and attitude, through three kinds of skills: Recognition, Interaction and Coordination. * Interactive animated tales where children together with Mash and Periwinkle help the inhabitants of various villages in difficulty, interacting with puzzles and interactive animations, learning chapter after chapter the values of sharing, friendship and respect for nature. * Mini games to deepen the themes present in the animated tales. do not worry, they will also have the option to skip the chapter or simply interact with the secondary elements. * Non-verbal language to let play all children of the whole world. * In this release the first three contents are free. * You will be informed of the following episodes with our newsletter service. Subscribe to get a free colorful wallpaper of Mash&Co!